Earring findings There are 6 products. Stainless steel earwires with crystals. 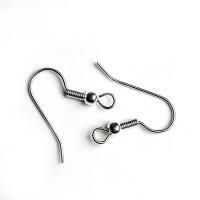 Fishhook Earwire with ball. Platinum plated. 5 pairs (10 pcs) in 1 pack. Made in Czech Republic. 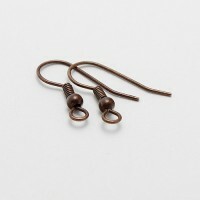 Fishhook Earwire with ball. Copper plated. 5 pairs (10 pcs) in 1 pack. Made in Czech Republic. 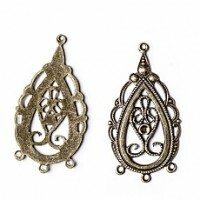 Earring chandelier connector. Colour - platinum. 1 pair in a pack. 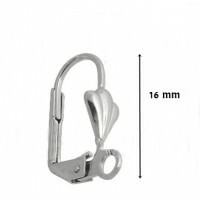 Size - 15*30 mm / 0.6*1.2"
Earring chandelier connector. Colour - antique brass. 1 pair in a pack. 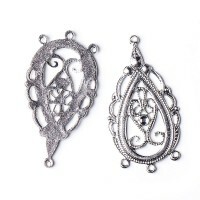 Size - 15*30 mm / 0.6*1.2"
Leverback earwires, 16mm, 1 pair. Leverback earwires with shell decor and ring. 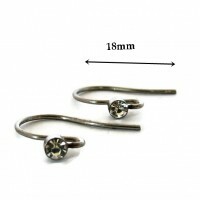 Diameter of the ring - 2mm.